Mobiad Solutions is Best Website Designer in Hyderabad India. 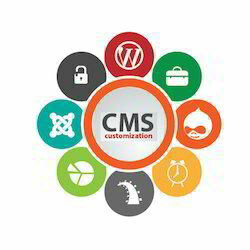 We provide Website Maintenance Services like changing Content , images, URL Structure, Tracking, Website Vistors, Payment Gateway Installation services, Chat with visitors etc. We are a service provider of Website Development Services. We bring forth our vast industrial experience and expertise in this business and are instrumental in providing WordPress Website Development. We offer web design services for businesses, organizations and personal projects. Our Website Design Services are professional, affordable and flexible to meet your criteria. A static website contains Web pages with fixed content. Each page is coded in HTML and displays the same information to every visitor. Static sites are the most basic type of website and are the easiest to create.we are Low Cost Web Designing Static websites in hyderabad. New to ZENworks 11SP3 brings better performance and better tools to the ZENworks 11 Platform to help you face compliance and audit challenges, simplify your tasks and keep your employees productive. Check out the new features below. Our web based application development includes several competing and widely used technological platforms (consisting of a programming language, frameworks(s), components and tools). Web development support (WDS) services include professional website design for corporate websites on multiple platforms including database design. A business without a website has no presence. The web has a profound impact on opportunities.